There are hundreds of different styles and colours to excite you with when planning your dream kitchen, At unique we offer many finishes and designs of door from vinyl doors designed with choice in mind to hand made wooden creations, styles range from ultra modern urban chic to a vintage timeless look. 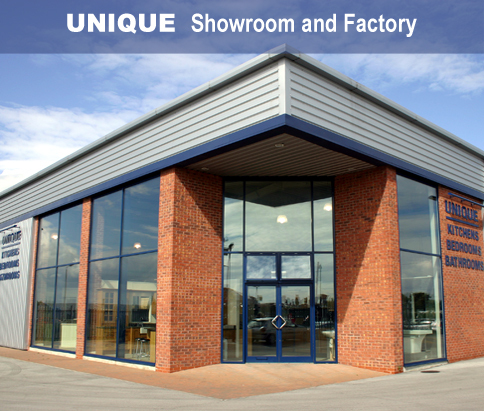 As we are bespoke we really are able to make the most of the space available. Tailoring your design to meet your individual requirements. Carcases come colour matching to your door choice and are made of 18mm board and all come with a ten year warranty. 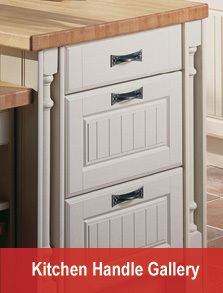 Solid wood Tongue and Groove or plain panels are also available and compliment many door styles if desired. We offer a wide range of contemporary and traditional handles, sinks and taps, tiles and appliances to suit every style and budget. 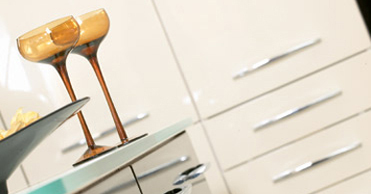 Worktops - ranges include matt and gloss laminate, solid wood tops, granite and corian. There are unlimited options when it comes to the finer details of your kitchen, why not choose from luxurious underfloor heating to adding a splash of glamour with the many ranges of lighting that can add an extra sparkle to the overall look of your design. All fitting aspects of your kitchen are project managed by Steve Martin, and we use our own skilled fitters to complete your dream kitchen, the fitter is available to do a wide range of work including, tiling, electrics, plumbing, plastering and general building work. The one fitter will remain with you throughout the job eliminating having to schedule several tradesmen to complete the finished design. Click here to view a sample of the main suppliers we use for our quality Kitchen fixtures and fittings. Please note this is not an exhaustive list, we can source any brand or products required by our clients. 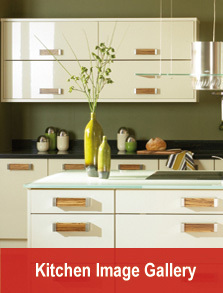 Click on the images below to view samples of our extensive Kitchen range and Door Handle range. 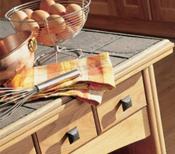 We do also offer kitchens as a supply only service and when kitchen carcases are purchased this way the units come rigidly made. Unique is also a member of Napit so any electrical work undertaken is tested and certified.